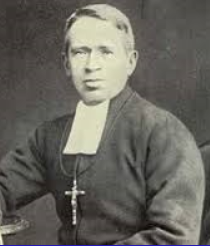 Brother Walfrid created Celtic football club in 1888 as a funding conduit to lessen poverty in the east end of Glasgow: “A football club will be formed for the maintenance of dinner tables for the children and the unemployed.” Poverty, in whatever shape or form, was abhorrent to Brother Walfrid’s innate sense of decency. It is this core value that runs through our very veins and has been the beating heart of the Celtic diaspora, passed down from one generation to the next. We are a family because we care for each other and for those less fortunate than ourselves. For that, we are indebted to Brother Walfrid. At Celtic’s AGM, in this our celebratory 125th anniversary year, Celtic turned its back on Brother Walfrid when it rejected Resolution 11. Just before 1pm today the Stock Market noted that there had been a sale, at a price of 41p per share, of 3,328,672 shares in Rangers International Football Club PLC at a price of 41p each. With such a sizeable sale there will require to be an imminent announcement about the seller/buyer. What will be interesting is the view on life of the seller. The Inner House of the Court of Session has today upheld the decision of Lord Woolman in the case of the SPFL v Lisini Pub Management. The full decision can be read here. In terms of this decision the Court has upheld the dismissal of the action brought by the SPFL to prevent the defender, which owns various pubs, showing SPL/SPFL football matches via a Polish decoder and for damages for breach by Lisini of an undertaking not to do so.